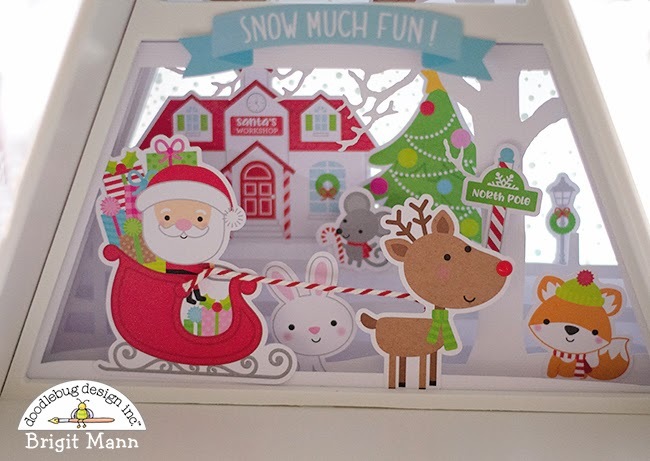 I couldn't wait to decorate this Shadow Box Advent Calendar that I picked up from the Silhouette Online Store with the adorable Christmas Town collection. 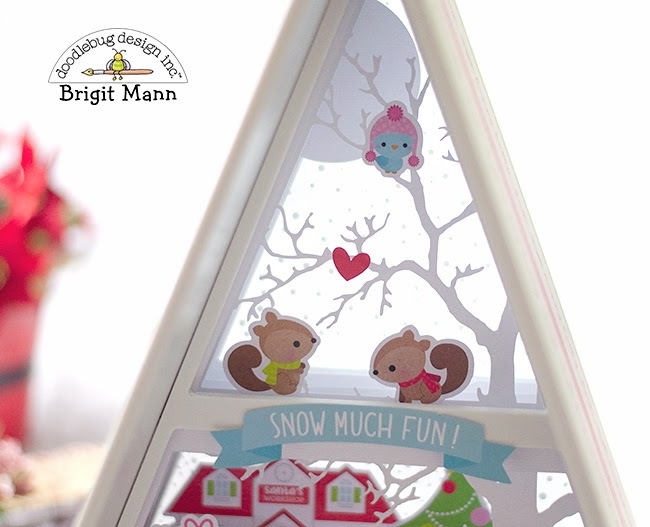 The calendar comes with 25 triangle boxes and a download card with exclusive designs for your calendar from the Silhouette Design Store. I decorated the fronts of the boxes with the cardstock from Christmas Town's 12 x 12 paper pack. The numbers are print n cut layered on top of a label cut from ladybug and limeade textured cardstock. 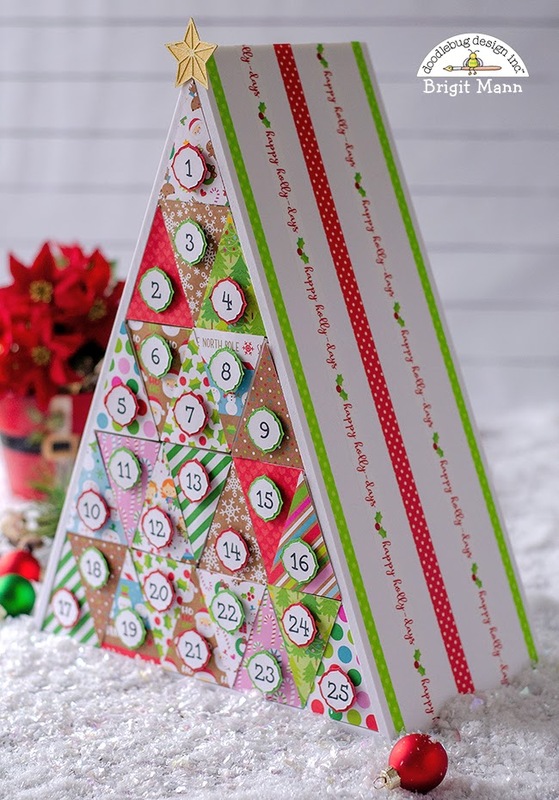 To add something to the sides I used some of the happy holly-days, ladybug swiss dot and thin limeade washi tape. When all the boxes are removed it reveals the shadow box. I used the sleigh scene that came with the Silhouette download card and cut away what I didn't want in silhouette studio before I cut it out. 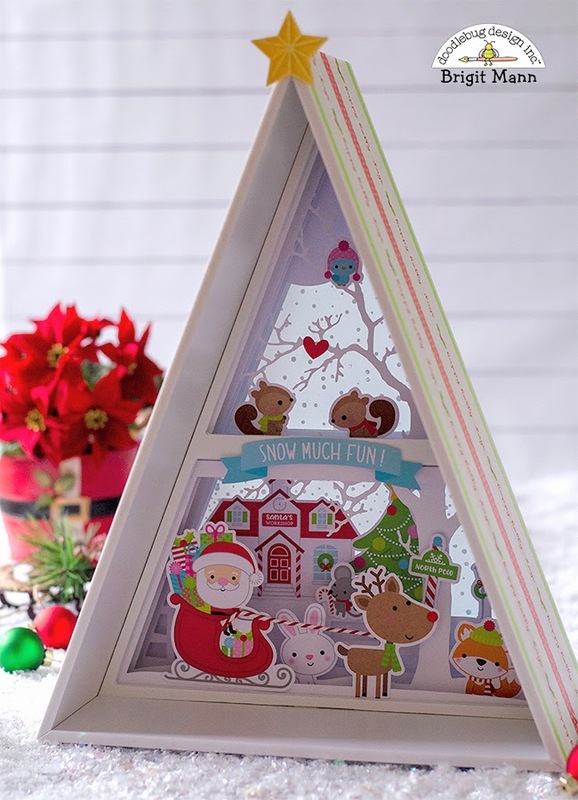 I decorated with Christmas Town's odds & ends and a banner from the chit chat pack. I heat embossed white dots for snow on vellum for the back panel, looks so pretty near a window. Also used lily white cardstock, a piece of ladybug chunky twine and a Christmas sprinkle for the reindeer's nose. I just love what you've done with the Silhouette Calendar, It's the cutest!! That little scene is perfect!! !